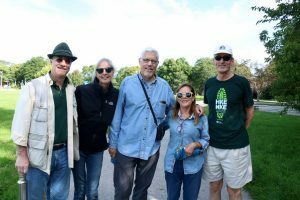 Nearly 50 Rotarians and friends had a blast hiking through the Milwaukee Rotary Centennial Arboretum at the 2018 HKE MKE on September 9th to support the Urban Ecology Center. We were proud to be the title sponsor for the third year in a row to help connect youth and adults to the beautiful green spaces in Milwaukee. President Ed Krishok with his wife and friends.